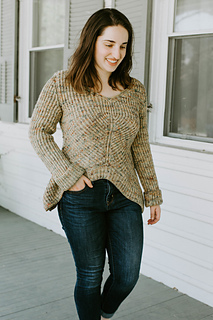 The Pinefeather Pullover combines a super fun stitch--brioche--with strategically placed increases, decreases, and even some short rows, to create a stunningly feminine silhouette. On display at New York Sheep & Wool (aka Rhinebeck) next weekend! 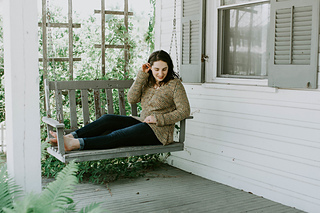 Stop by Spirit Trail’s booth to take a peek and get exclusives on yarn colors… and a discount code if you purchase yarn at the festival for it from STF! Spirit Trail Fiberworks’ Brigantia is an amazing yarn for brioche. There’s gorgeous colors to choose from, and the wool and silk content makes for a lofty, scrumptious brioche fabric, perfect for wearing against the skin for cool days. Choose your favorite color and cast on for a great fall and winter sweater. This is a great brioche project for someone who wants to practice increases and decreases--it’s all worked in one color! 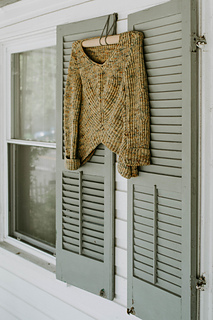 The pullover is made in pieces and seamed at the very end. 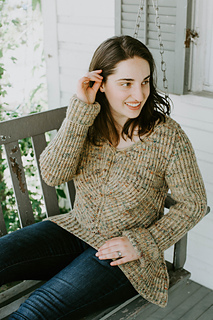 Block your pieces after each portion of the knitting is complete so that the sweater will fit when seamed. And be sure to check your gauge! 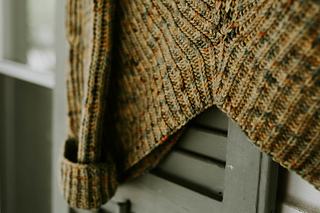 Your gauge may very well change after blocking, so check both before and after so you choose the correct size. The pattern is written to include 2-4” of positive ease.